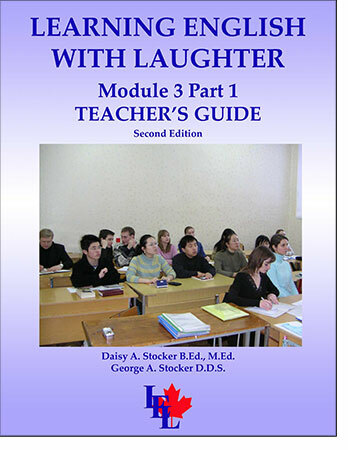 Module 3 is designed for Intermediate students aged 13 and older. The Curriculum uses a conversational approach to English, stressing communication in a variety of everyday situations. Reading and writing are included in each lesson, with numerous activities for practice, but listening and speaking are given the greatest emphasis. Basic grammar is introduced sequentially, then practiced in a variety of oral activities and written exercises. Our ESL textbooks are in use all over the world. South Korea recently published 13,000 copies of our Children’s textbooks. Convenient Modules — buy as you go! Classroom Hours – 20 lessons. Each lesson provides between one and two hours of classroom time. How to Access your Download after purchase — After payment, click on “Download Purchase”You will also receive an email with your download link – If you do not see the email after 1 hour, check your SPAM box. Module 3 – Part 2 Part 2 starts at after Part 1, at Lesson 21.
small groups asking and answering questions then checking the answers provided. after 1 hour, check your SPAM box. Download links sent after purchase. Your School name and graphic appear on the covers of all books. A note about our pricing. We understand economic conditions vary greatly from country to country. If pricing is a issue, please contact us and we are happy to discuss your situation. Intermediate Level ESL EFL curriculum – includes 3 textbooks – teacher guide, student workbook and student reader!